MC4R Antibody is affinity chromatography purified via peptide column. MC4R antibody was raised against a 19 amino acid synthetic peptide near the amino terminus of human MC4R. MC4R Antibody is supplied in PBS containing 0.02% sodium azide. MC4R antibody can be stored at 4 degree C for three months and -20 degree C, stable for up to one year. As with all antibodies care should be taken to avoid repeated freeze thaw cycles. Antibodies should not be exposed to prolonged high temperatures. Small volumes of anti-MC4R antibody vial(s) may occasionally become entrapped in the seal of the product vial during shipment and storage. If necessary, briefly centrifuge the vial on a tabletop centrifuge to dislodge any liquid in the container`s cap. Certain products may require to ship with dry ice and additional dry ice fee may apply. MC4R Antibody: The melanocortin-4 receptor (MC4R) is a member of the superfamily of seven transmembrane G-protein coupled receptors that are involved in multiple signal transduction pathways including the cAMP and MAPK signaling pathways. It is thought that the melanocortin system modulates energy expenditure and insulin sensitivity; activation of the MC4R results in the inhibition of c-Jun N-terminal kinase (JNK) activity and promotes insulin signaling. MC4R-null mice display maturity onset obesity characterized by hyperphagia, increased adiposity, hyperinsulinaemia and hyperleptinaemia, suggesting that like other obesity-linked genes such as FTO, PTER, and NPC1, MC4R is a potential candidate target for the treatment of obesity. 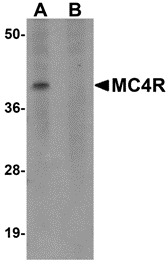 MC4R antibody can be used for detection of MC4R by Western blot at 1 mug/mL. Antibody can also be used for immunohistochemistry starting at 2.5 mug/mL. For immunofluorescence start at 20 mug/mL. Western blot analysis of MC4R in rat brain tissue lysate with MC4R antibody at 1 μg/mL in (A) the absence and (B) the presence of blocking peptide. 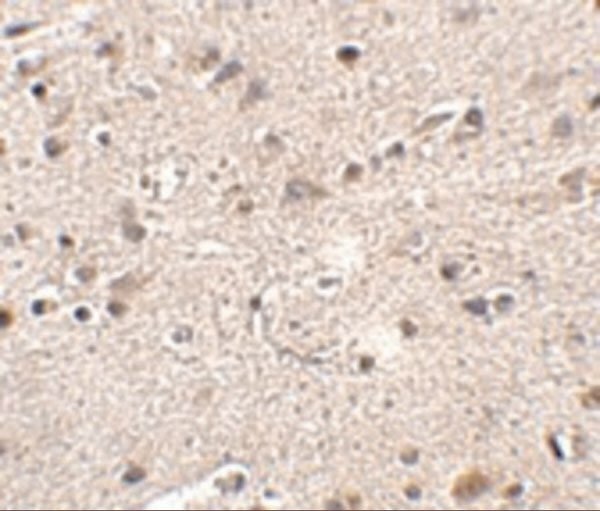 Immunohistochemistry of MC4R in human brain tissue with MC4R antibody at 2.5 μg/mL. 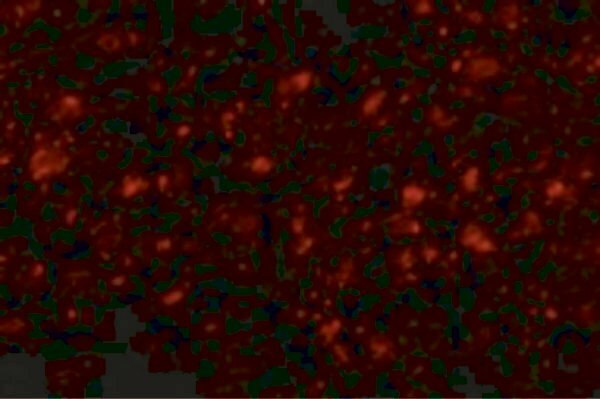 Immunofluorescence of MC4R in Human Brain cells with MC4R antibody at 20 μg/mL. NCBI/Uniprot data below describe general gene information for MC4R. It may not necessarily be applicable to this product. 1. We identified differences in the striatal response to food cues between two groups of obese individuals, those with and those without MC4R mutations.